Optical Chrome Goggles Rx Kit. 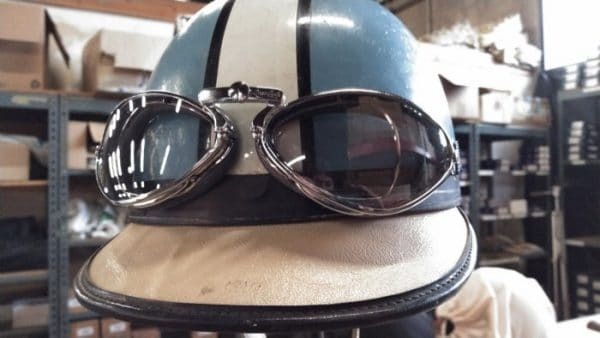 Eyeglasses don’t fit under your goggles? 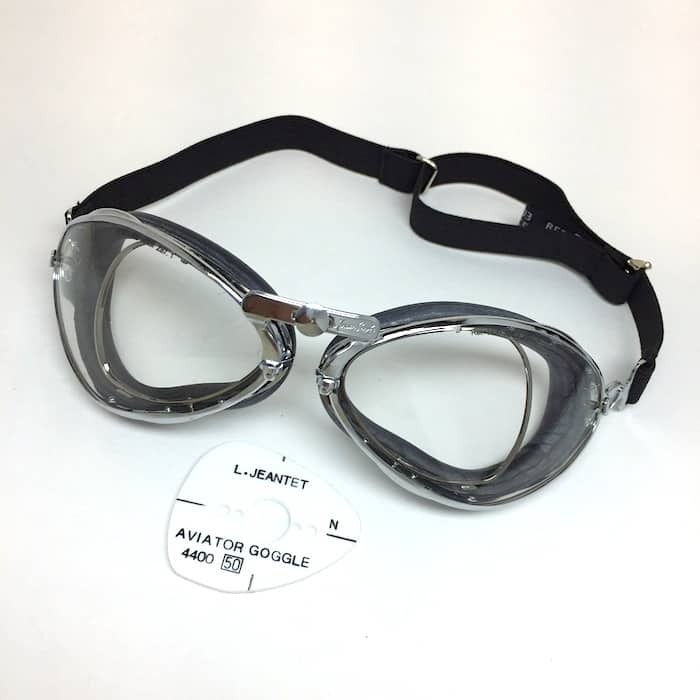 Aviator’s Optical kit goggles come with a template for your optician to make lenses to fit their special frames with-in the goggles. Identical to Ref.4400 Chrome frame, classic style with road safety in mind. 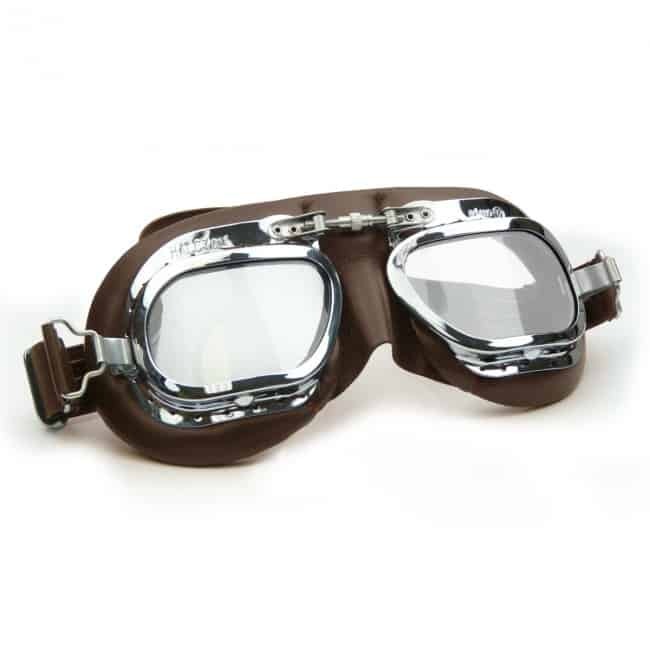 Aviator Optical Chrome Goggles Rx Kit. A template is supplied for your optician. Identical to Ref.4400 Chrome frame, but it has an insert to hold prescription lenses. Brass frame with chrome finish. Black natural rubber padding with black headband. The headband is adjusable and removable. The nosebridge is adjustable over 10 mm. Shielded and riveted ventilation to reduce misting. Easy lens changing system made possible by side latches on the frame. 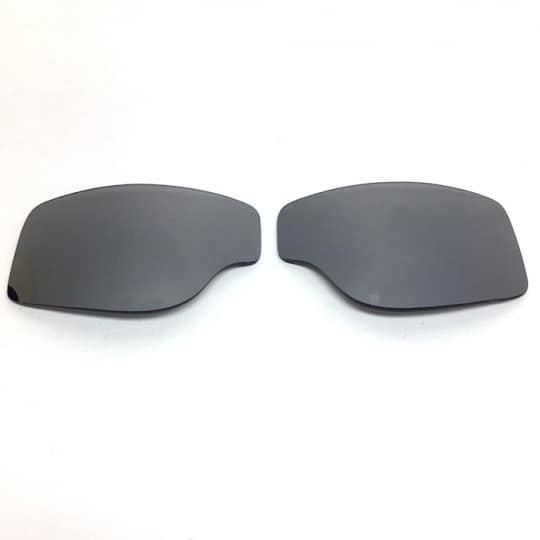 Lenses are ANSI Z87.1 rated impact resistant polycarbonate, anti-fog coated with 100% UV protection.